Juggling meets roulette wheel: danger, skill and unpredictable moments. Project_Vee is a nod to a Soviet-era circus act, remixed for the 21st century. When steel, concrete and motors meet, Project_Vee takes juggling in a different dimension. Literally. 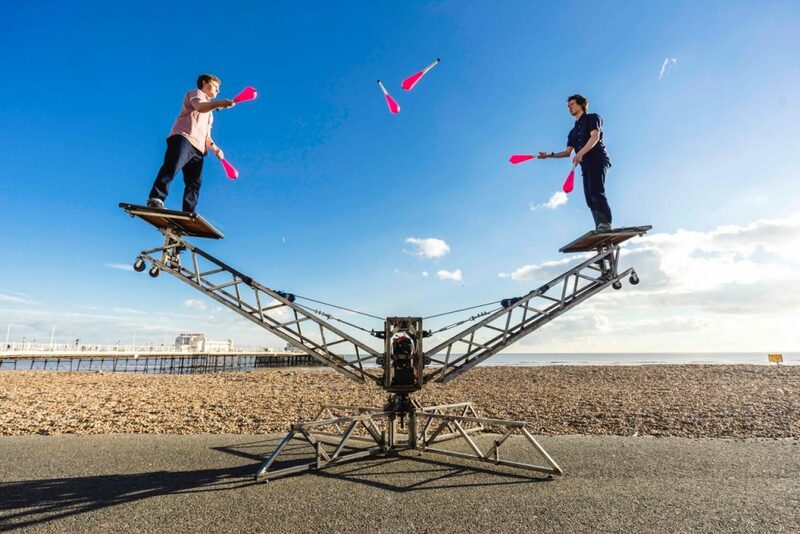 It is a 25-minute juggling duet based around a spinning structure, raising up to 3m high. Project_Vee is suitable for outdoor festivals & events, playing to up to 800 people per day. Project_Vee is a collaboration between PanGottic and Circus Geeks; two award winning circus companies. PanGottic’s outdoor shows, Thingamabob and Pang On, mix circus with physical theatre & homespun machines and have toured across Europe. Circus Geeks began life as a blog in 2011. Beta Testing- a show born out of the blog’s most popular posts- recently had a month-long run at Udderbelly Festival at the Southbank Centre following a UK tour. Project_Vee is commissioned by Without Walls, Ageas Salisbury International Arts Festival and Out There, after an original investment by the City of London Festival. 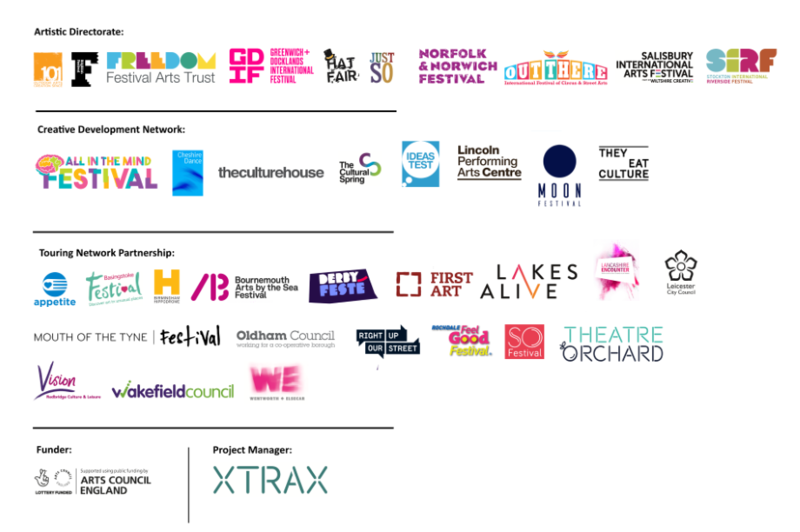 Supported by Arts Council England through Grants for the Arts, the National Centre for Circus Arts, Worthing Theatres and 101 Outdoor Arts. Project_Vee by Circus Geeks x PanGottik is currently available for touring. Please contact the company directly for details of availability, technical requirements and costs.